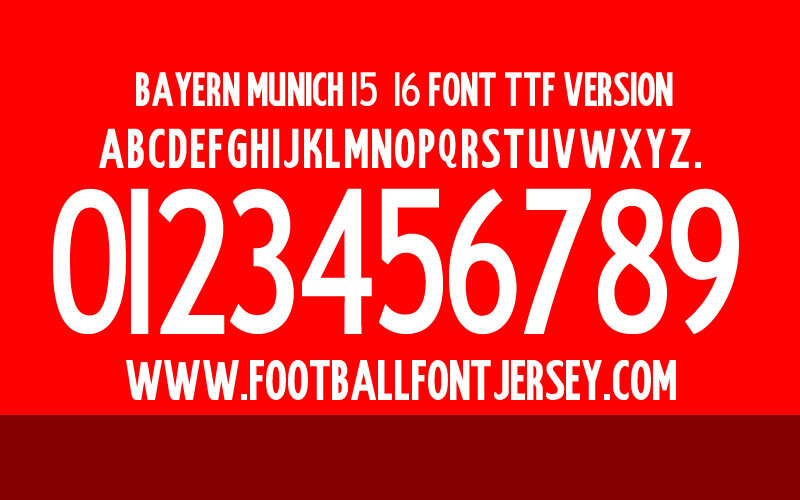 We update Bayern Munich font for season 2015 / 2016 , but it’s look same with last season namest. 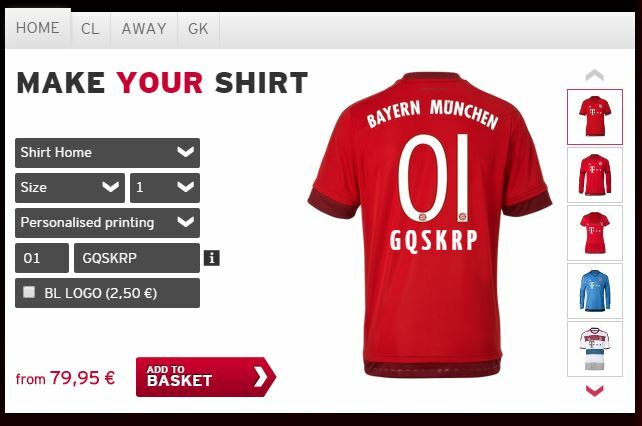 But after check personalize name at http://shop.fcbayern.de/ , any different on letter , you can check preview. We make TTF ( for windows ) and OTF ( for Mac ) only , we’ll update again if any change in next time. This entry was posted in Bayern Munich, Bundesliga and tagged 2015, Bayern Munich, Bundesliga, Font, TTF.